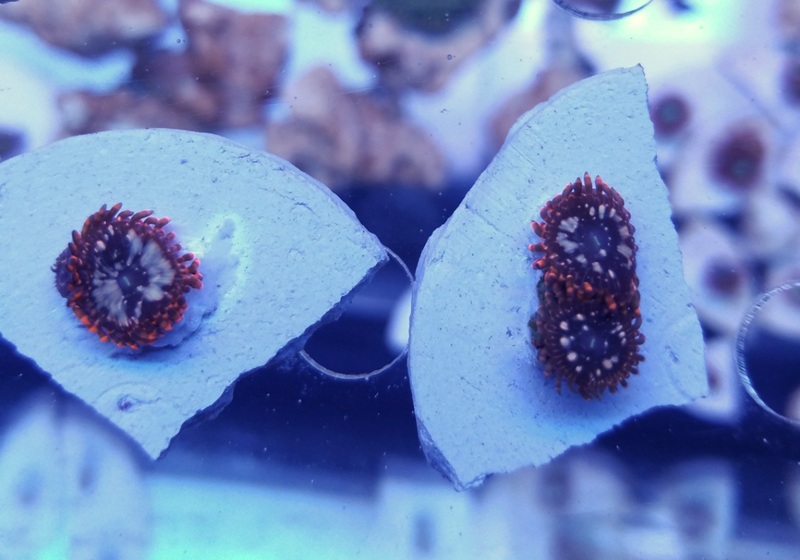 I forget the name of this one but it looks similar to the "Hurricane" rhodactis offered on-line by other vendors. 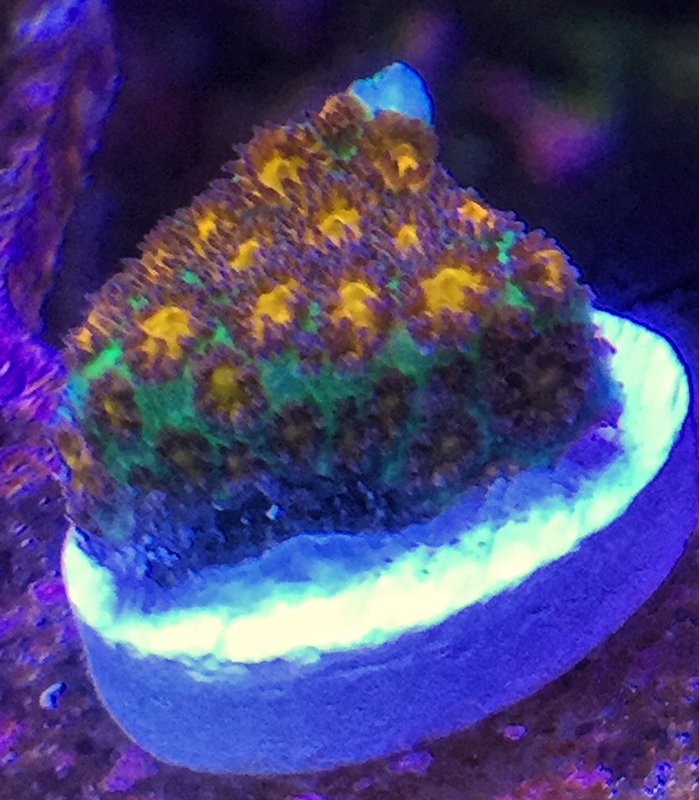 This shroom has some interesting textures with an orange fringe. 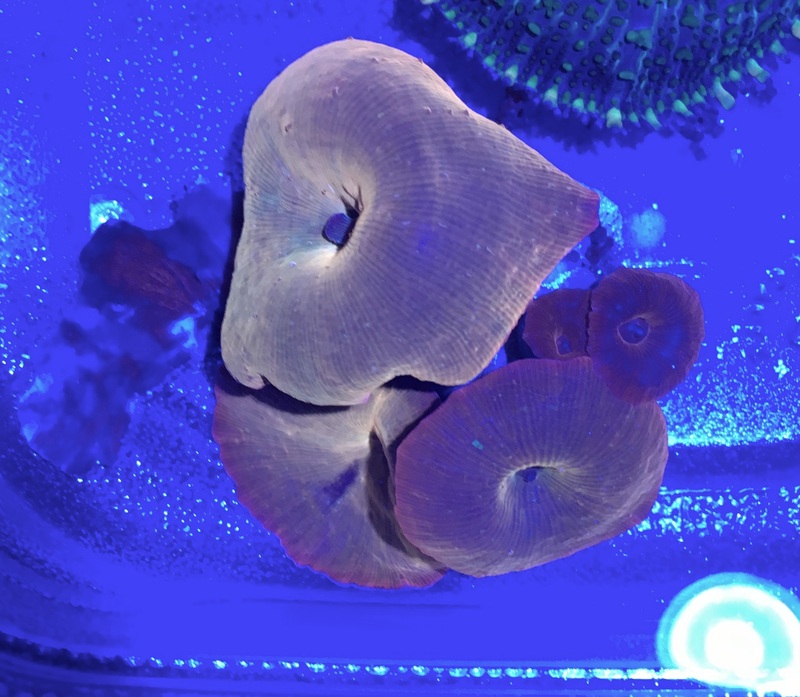 Relatively easy SPS to keep. 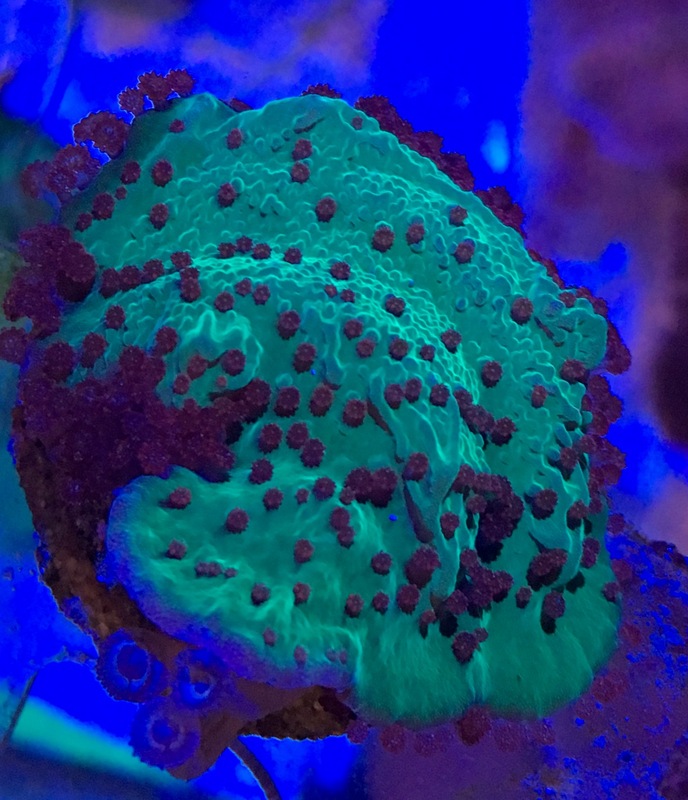 This piece grew off of my main colony a while back and has taken over the frag plug. 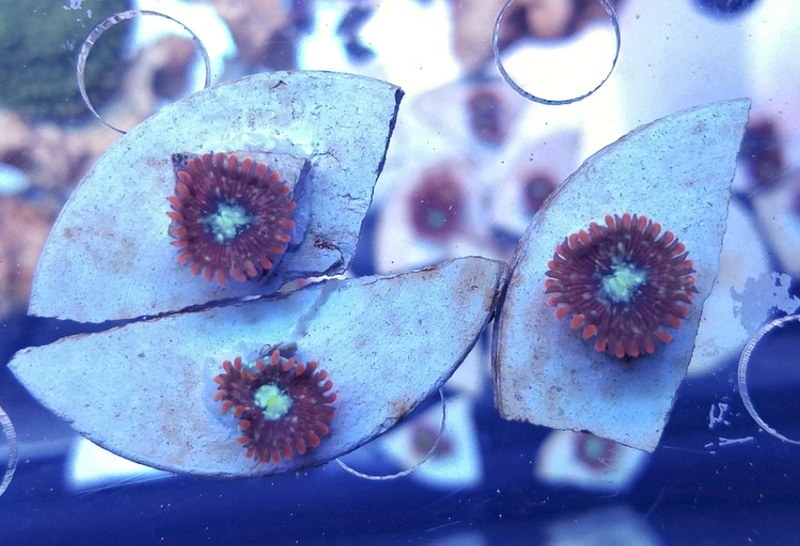 Not sure what the 3 zoa polyps are on the plug, they are pretty bleached. 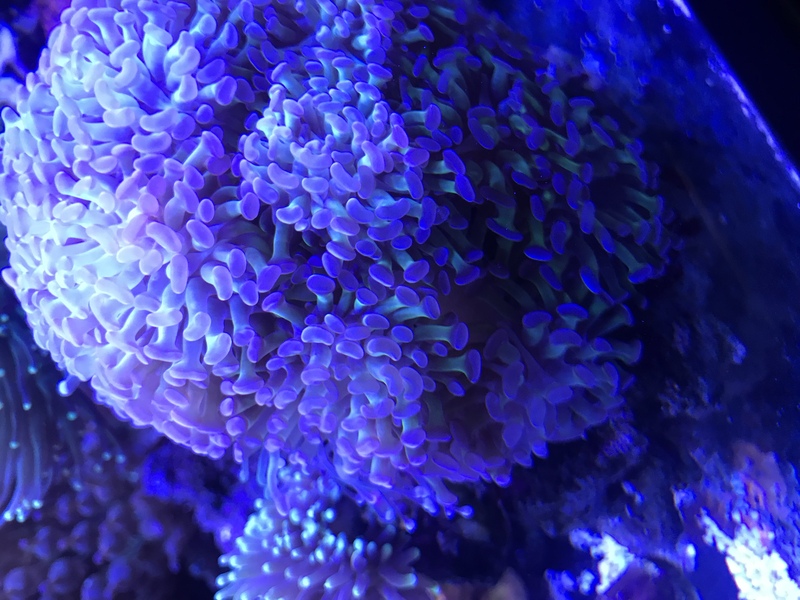 Very healthy frag with great polyp extension. Very very easy to keep. These is the fastest growing gorg have out of the 6 or so different species I keep. 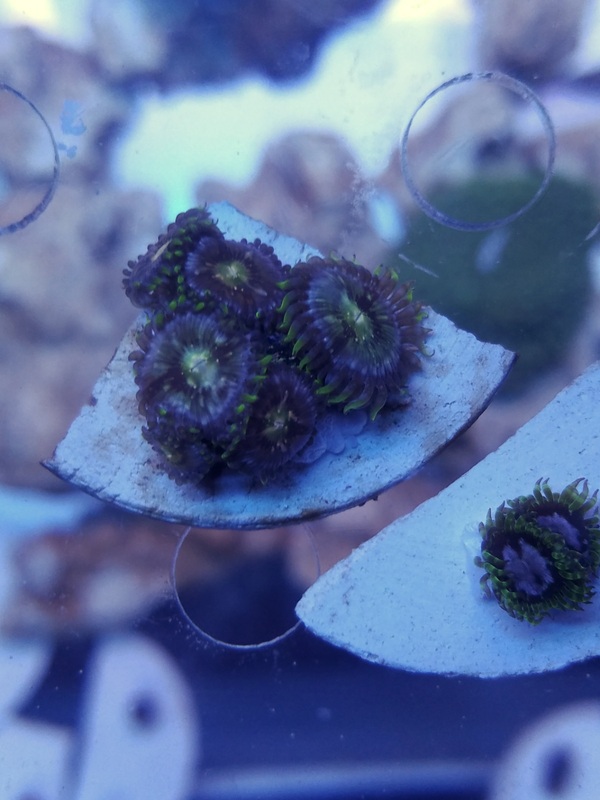 Each frag will be ~2-3". 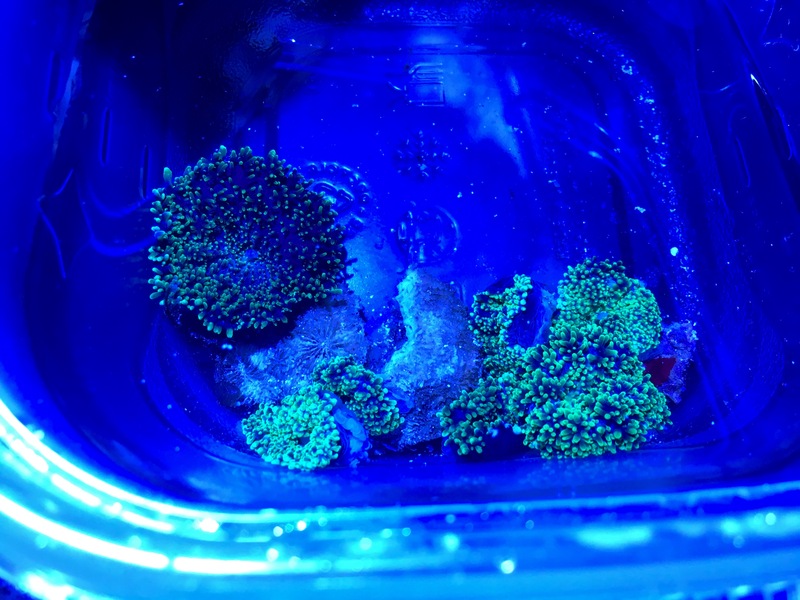 If you'd like a larger frag just PM me. 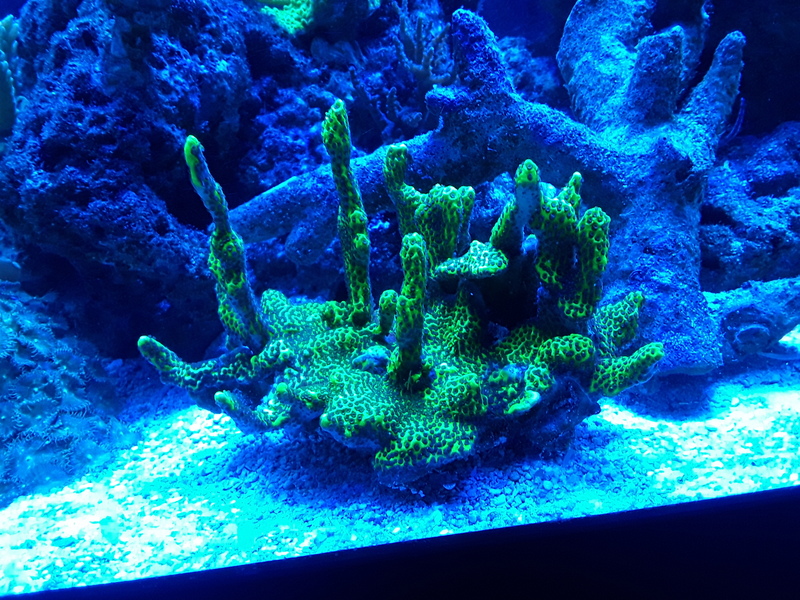 I will cut the frags the morning of the swap, simply take it home and stick it in a crevice in your live rock to "plant it." This is the best way I've found to propagate these. These really pop, pictures don't do them justice. Very bright orange in color. The 4 large ones are for sale, the two babies will go back in the tank. 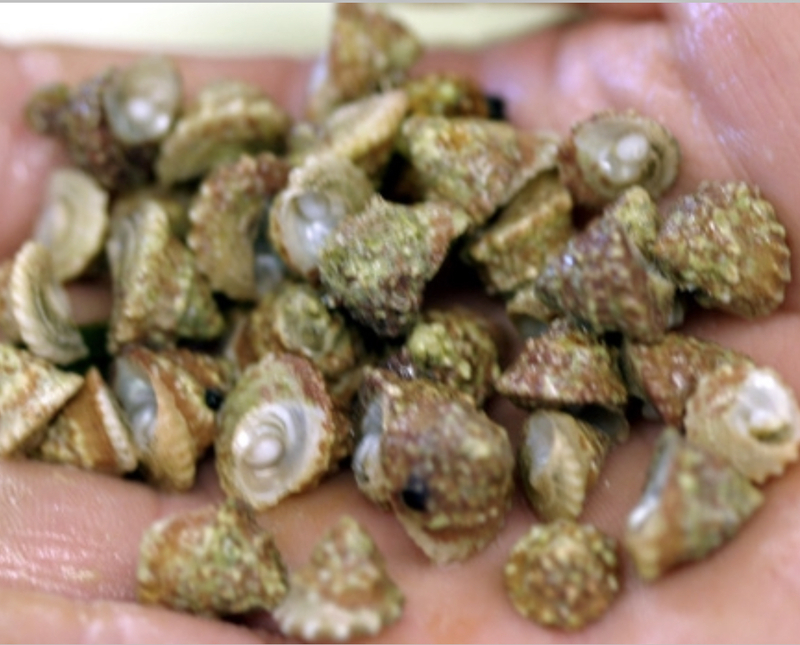 This is for the green variation. 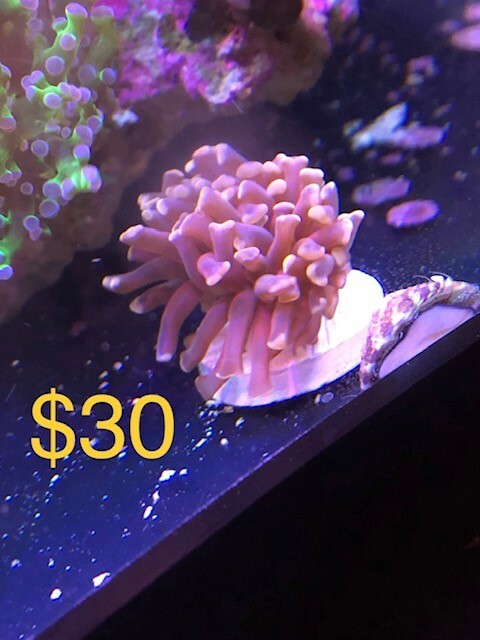 Great beginner coral. 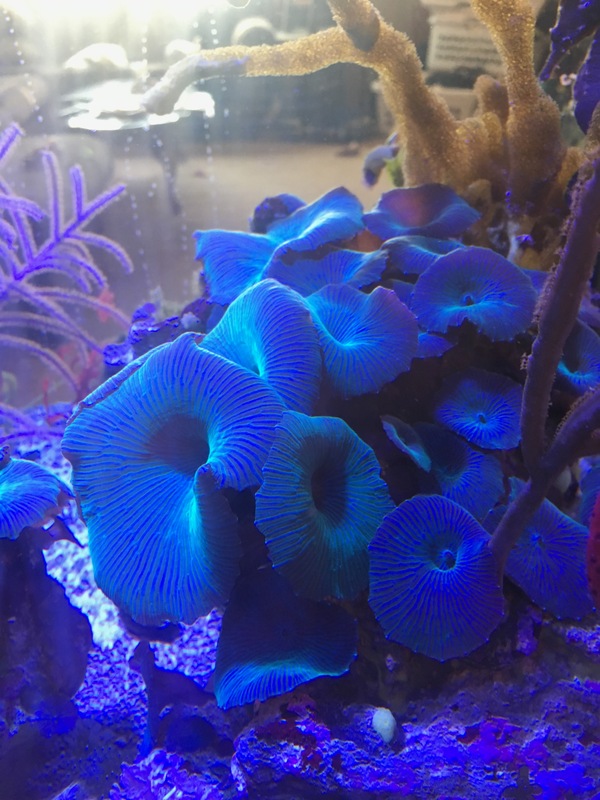 My buddies and I put these around out anemones to keep the anemones from moving. 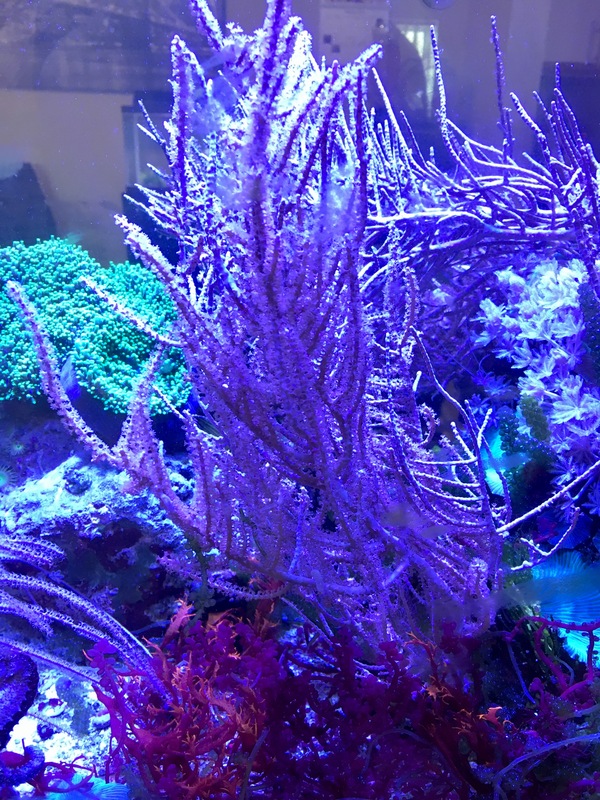 As the title reads these are blue-green in color and fluorescent. 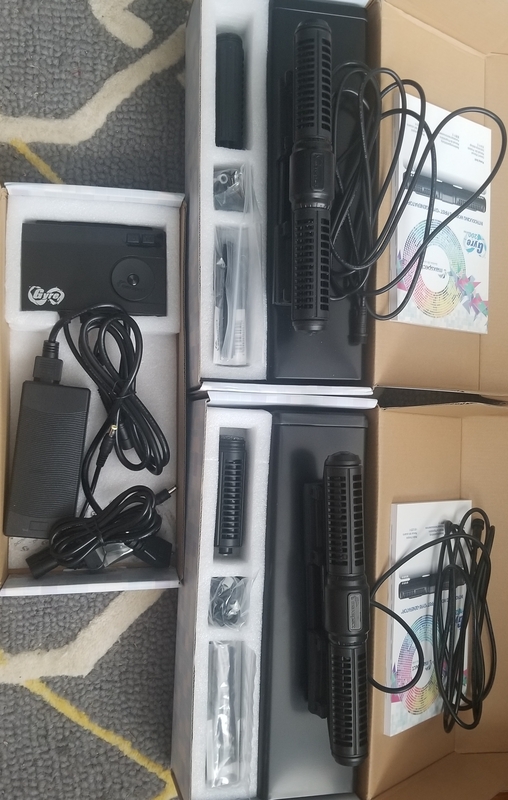 I have a brand new pair of Maxspect XF230 Gyres in box with Controller and these extras: 4 propellers, 4 cages, 8 anemone net guards, 4 bearing kits, and 2 end caps. 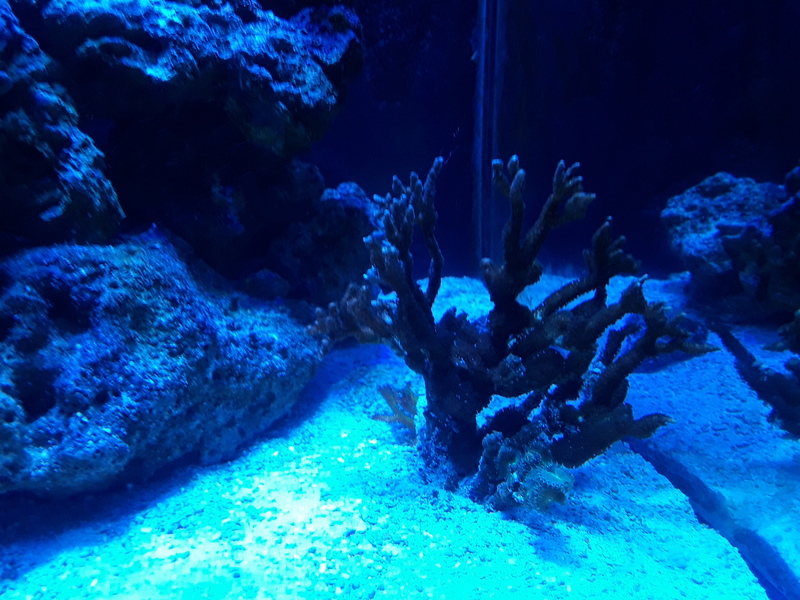 Ended up changing my tank setup and going a different route with powerheads. mermaids cove is killing the competition with their always killer pricing on clean up crews please let us know what were holding for you. 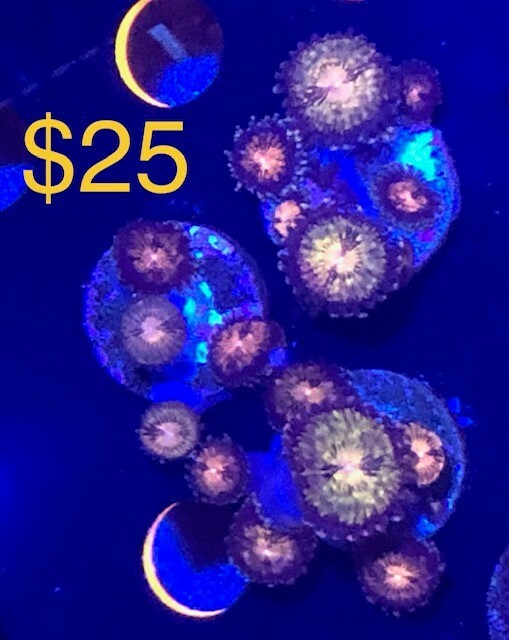 Price droppped from what the photo shows $15. Not sure of the name. ASD called them Sparkling Cheetah and Reverse Space Monsters. I cant tell the difference any more. Price dropped from what the photo shows. 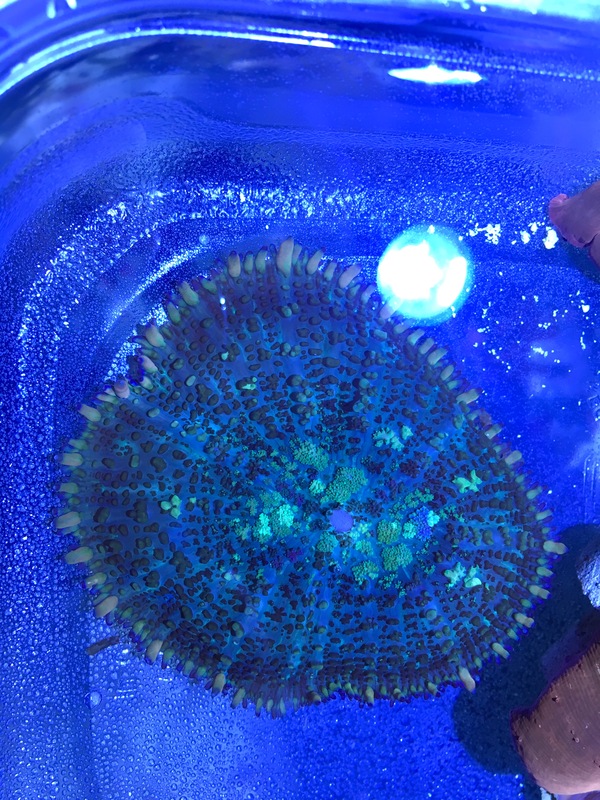 $20 Single cut off my colony a few weeks ago. Ill be there first thing in the morning.